Stream Videos to Chromecast Connected Screens! Let your viewers watch their favorite TV Shows, Movies & Videos from your streaming platform on the comfort and luxury of a Big Screen TV easily, with Muvi’s Chromecast Connected Eco-system! Muvi lets your viewers stream their favorite videos from your streaming platform to their Chromecast connected Screens and TVs out-of-the-box without any headache of installing additional apps or add-ons. Your viewers can choose to watch their favorite videos via a Website (Browser with the Google Cast extension installed) or via a Mobile Devices (with Google Cast installed) by just pressing the cast button on the video player on your Muvi powered platform. Let the magic take place automatically, as you and your viewers relax, without worrying for anything or without spending any penny to enable this exciting feature. Chromecast Connect is a free in-built option that gets bundled with all Muvi Websites and Mobile Apps. All Muvi powered Video Streaming Platforms come with ready Chromecast Support for Web and Mobile Apps. Muvi supports all chromecast generations, enabling your viewers to take automatic advantage of the comfort & luxury of a big screen playback and start streaming your content to their connected TVs instantly. 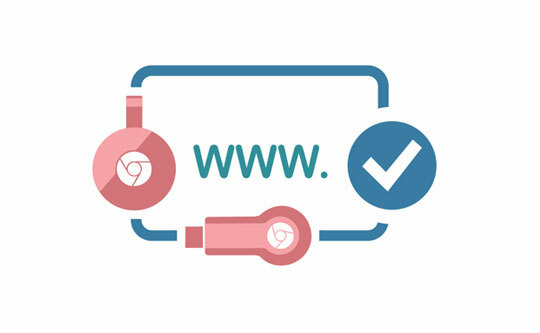 Your viewers, however, will need basic Google Cast apps and extensions installed on their web and mobile devices to take advantage of this feature and be in the same wifi network as their chromecast or be able to sync up with Chromecast in their area. 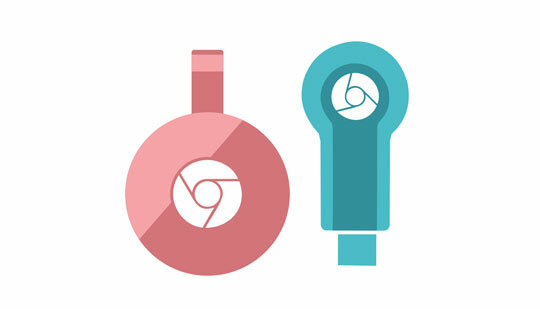 Muvi offers extensive Chromecast Support for web browsers with Google Cast extension installed. Your viewers can choose to stream a Movie, TV Shows or Videos from your Muvi powered web platform and cast them directly to their connected TVs for a much richer viewing experience, just needing a cast enabled browser and your website (no apps required). The feature is supported across all Muvi powered Website architectures and Muvi Proprietary HTML5 Online Video Players, which makes it easy for your viewers accessing your website either from a laptop or from a mobile device to cast onto their connected TVs instantly. Muvi offers a seamless Chromecast experience for Apps on Android and iOS platforms, so that your viewers having your Android or iOS Mobile Apps powered by Muvi can easily cast videos on their connected larger screens in an instant. All that is needed is to have their “Google Cast” installed and Chromecast setup complete to be able to take advantage of this large screen experience instantly! Muvi doesn't charge a single dime to enable this feature onto your platform. The Chromecast experience is pre-build into the core of Muvi’s platform, website and mobile apps. So, allow the luxury of streaming your videos on a bigger screen for your viewers and enrich their experience at no additional cost added to your wallet. As long as the Ad-Server you choose is able to support playback onto large screen TVs and Chromecast, Muvi seamlessly supports Video Ads on your platform while casting using Chromecast. This means that your monetization options such as AVOD remain constant when your viewers switch to Chromecast, and this ensures that you don’t miss any monetization opportunities. Muvi supports offline videos' casting to Chromecast. Users can download their favorite video content on the chromecast app and watch it later. With this feature, the Muvi platform allows unrestricted streaming support to end users even when they are offline.